This beautiful clutch and matching choker belonged to my friend Susan’s grandmother. Susan’s grandmother kept them safely in their original box, bringing them out only to wear on special occasions. The beading detail is delightful, and is entire [one lady owner! ]- I can just imagine the outfits that this ensemble would complete. 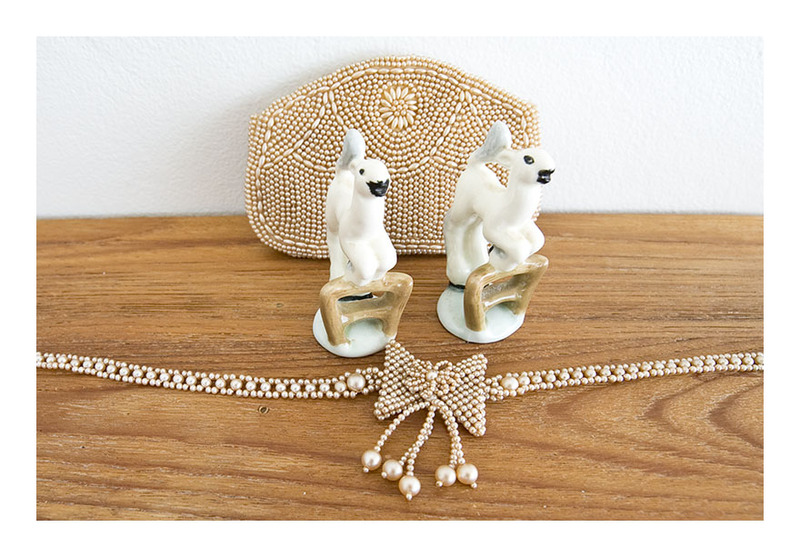 At first glance, the beaded clutch and choker and the lamb figurines are an unusual pairing – but both are of the same era. And both hint at joyous and exuberant occasions! 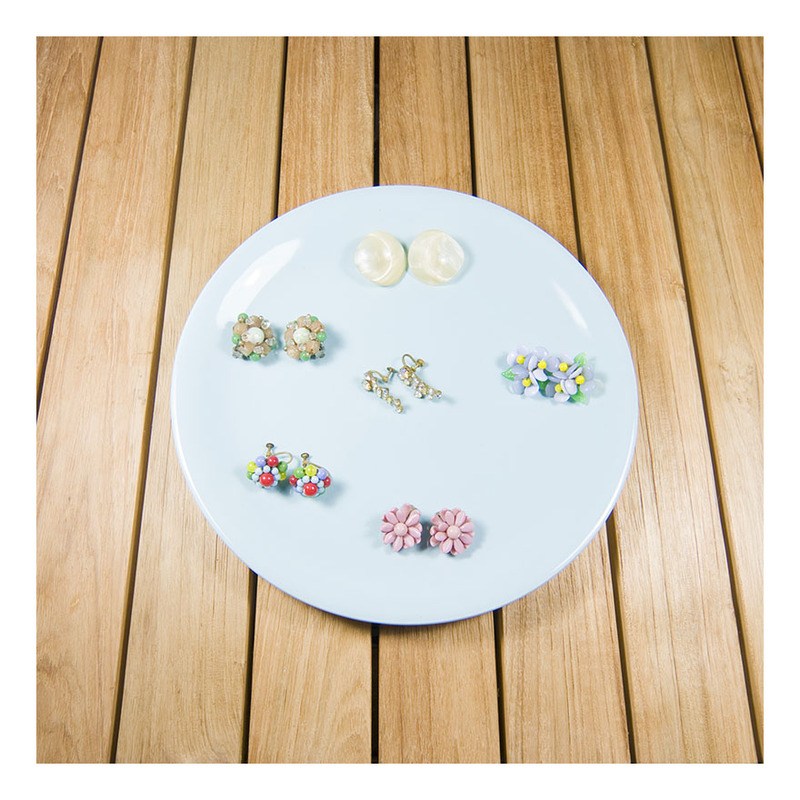 This is a set of six pairs of earrings- all screw-on or clip-ons. I started collecting 50s jewellery in the 80s- I would wear them with my op-shop bought clothes to university. The 80s was a time that fashion forgot – and although I was wearing ‘old’ stuff- at least it was well designed and didn’t sport leopard print or that horrible olive/gold colour scheme. Now 50s clothes and jewellery is very collectible. These earrings are beautifully designed and made and stand up well against modern costume jewellery. There’s a colour / diamante to suit every outfit! I love a brooch, and I love a bit of bling. Make it retro- and I’m there. 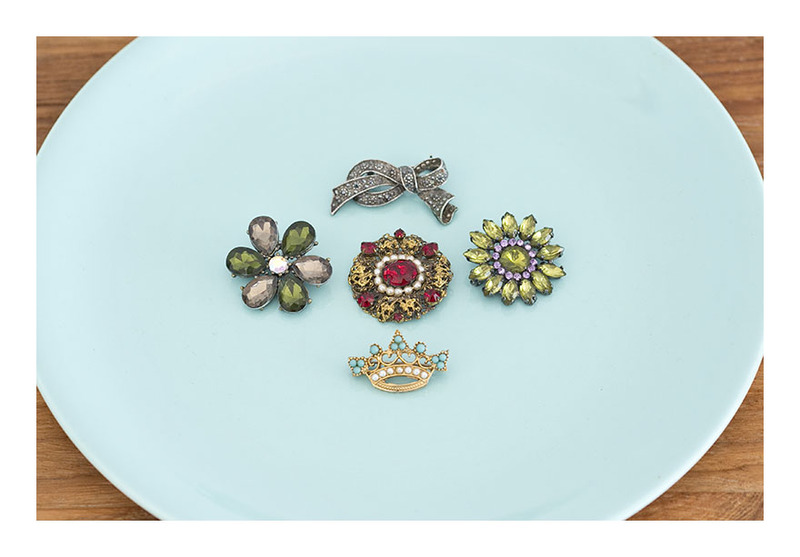 Here are six 50s costume brooches from a ladies collection of quite a few- I choose ones that appealed in a specific colour/form/50s representational kind of way. 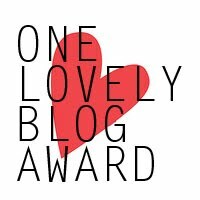 And that would look good together- one might be tempted to wear more than one at once! For your consideration today, dear reader- two beauties from the 60s. An articulated owl necklace and a chunky ring – both made of copper. I don’t know the maker of either; nor where these two originally a set- I collected them separately. But I think they look great together. I know not what that orange material is in the chunky ring, but I love the organic shapes. The owl’s eyes are glass. One of my earliest memories is of my mother’s dark green earrings. To this day, I love green jewellery- especially costume jewellery of a certain vintage. 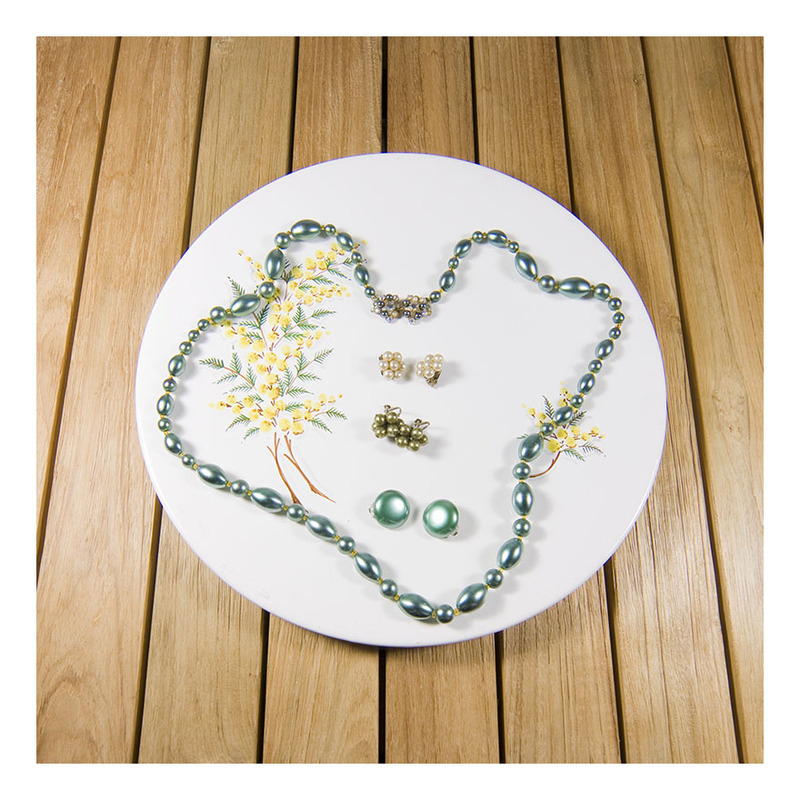 This necklace and earrings are displayed on a Diana plate [may have mentioned Diana in a few posts…] I love botanical images and this wattle plate is a favourite; its colours and vintage accord well with the jewellery. All the jewellery features ‘pearlescence’ – fake pearl-i-ness [I’m not making this up! ]- a particularly glamorous invention of the 50s. I especially love the clasp on the necklace – it looks like two earrings on either side of the clasp. Such attention to detail, even when often the clasp was not always seen under a ladies’ 50s bouffant. The middle pair of [‘grape drop’, olive-green] earrings are screw-on, whilst the other two pairs are clip-ons. The green round earrings are similar in colour/tone to the necklace, although I purchased them separately and they are not a set. However, since every second bead is spherical, I think one could get away with wearing the necklace and the round earrings as an ensemble. The white pearlescence earrings round out a nice little set. Further to my last post featuring 50s earrings, here is my collection of 50s brooches. I have already confessed to a love of green costume jewellery and you can see that that colour features in this collection also. I collected these brooches from all over the place- one by one, and now there is a little collection I thought I’d offer them for sale. For people who love to use one or two retro pieces in their daily ensemble- or for people who dress entirely in the 50s, this collection would be a useful addition to the wardrobe. And how well would they go with those earrings! This collection comprises 21 plastic dress buckles from the 50s and 60s. I collected the buckles from all over the shop [pardon the pun] will a view to making some use of them in my sewing. Alas I haven’t, and I shan’t. But I know people collect buckles and I know people who sew vintage who might like to make use of them. 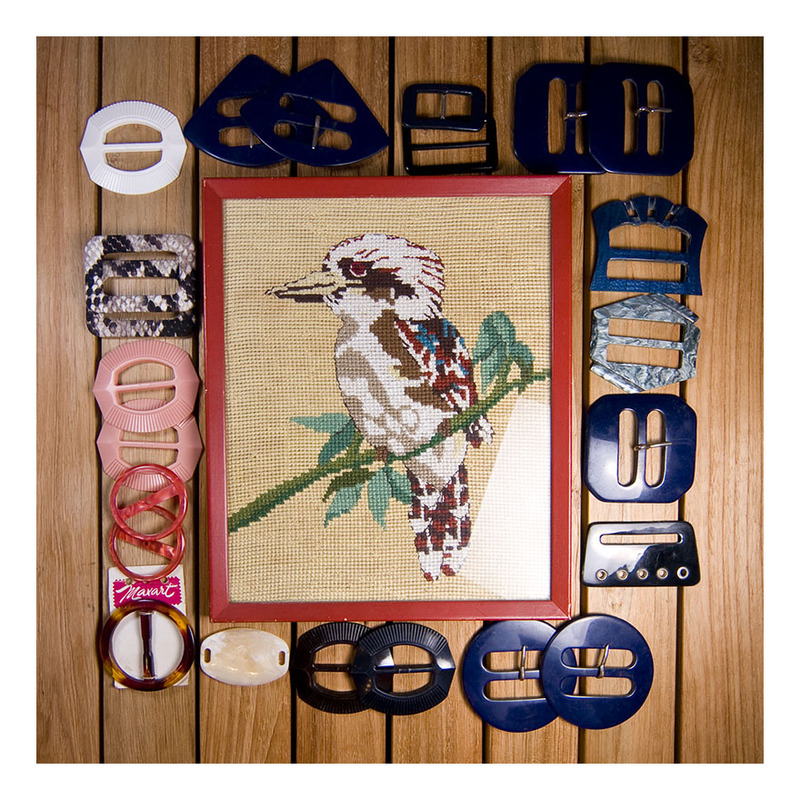 The cross-stitched kookaburra is in the image as an organising piece. I originally bought this framed piece for a friend who collects all things kookaburra. That was when I discovered that A LOT of people collect all things kookaburra. My friend didn’t want the cross stitch and so I tucked it away in my ‘styling’ pieces for blog photos. Now I’m kinda fond of it.